JETBeam's SSR50 LED FlashLight Upgrade , News-JETBeam Electronic Technology Co.Ltd. 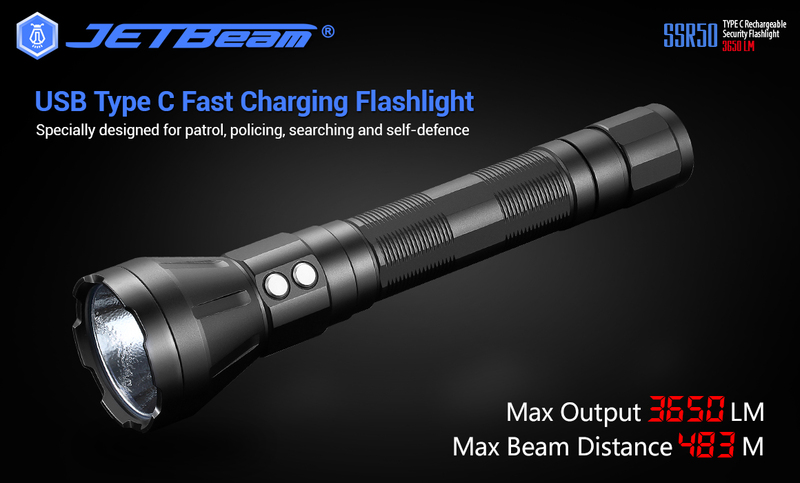 Jetbeam give a brief description and introduction to JETBeam's NEW upgrade flashlight, the Jetbeam SSR50 LED Flashlight with a USB type C port that allows you to fast charger your portable mobile phone, IPAD, MP3, PSP,etc. specially designed for patrol, policing, searching and self-defence, etc. 5000mAH/7.2V only needs 4 Hours and Max Output: 3650LM. 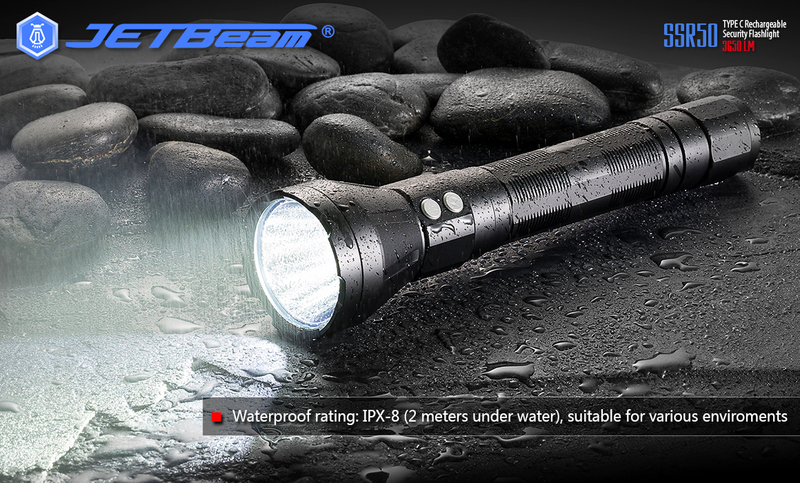 Jetbeam SSR50, a high-brightness dual switch flashlight with power supply function that breaks through the traditional design of flashlight. It was equipped with Tsinghua University’s latest developed vehicle-mounted power charging battery that can survive thousands of charges. It adopts the latest USA Cree U3 LED with a maximum output of 1000 lumens and a110 hours of run time. The unique dual side switches control the three levels of brightness and strobe. Jetbeam SSR50 is not only a high-brightness flashlight but also a portable power source. 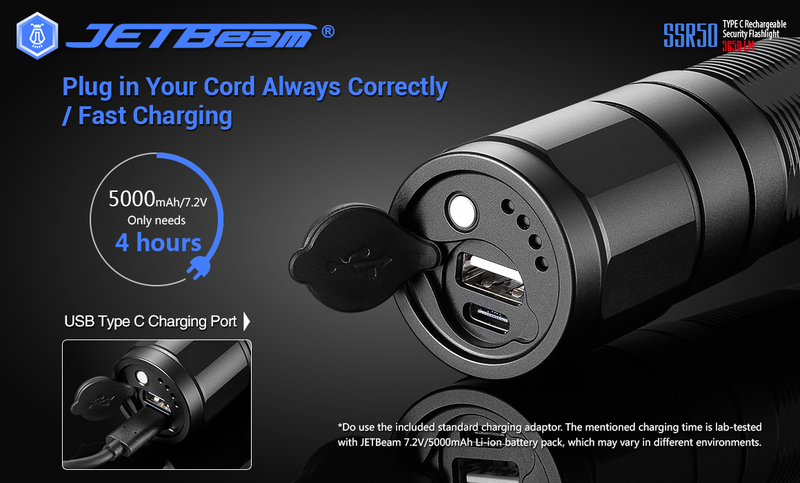 JETBeam SSR50 rechargeable high-brightness flashlight and portable power source is your best choice for gifts, outdoor activities, driving tour, expedition, daily use.